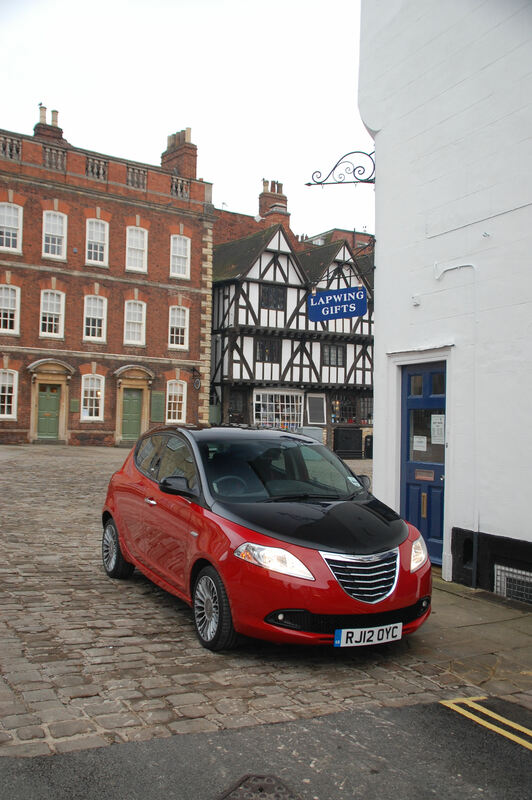 Chrysler might be a name some associated with American land yachts but there’s a distinctly European flavour about its city car offering, the Ypsilon. Unsurprising really, as the five door hatchback is also sold in Europe as a Lancia. The winged Chrysler badge atop its unique grille is the preserve of Britain and a few other RHD markets, where it was believed selling the Ypsilon as a Chrysler made more business sense than resurrecting the Italian nameplate. And yes, I did say five-door. As is the fashion for many, the rear door handles are hidden, but with the Ypsilon’s swoopy styling the effect is ingeniously masked. 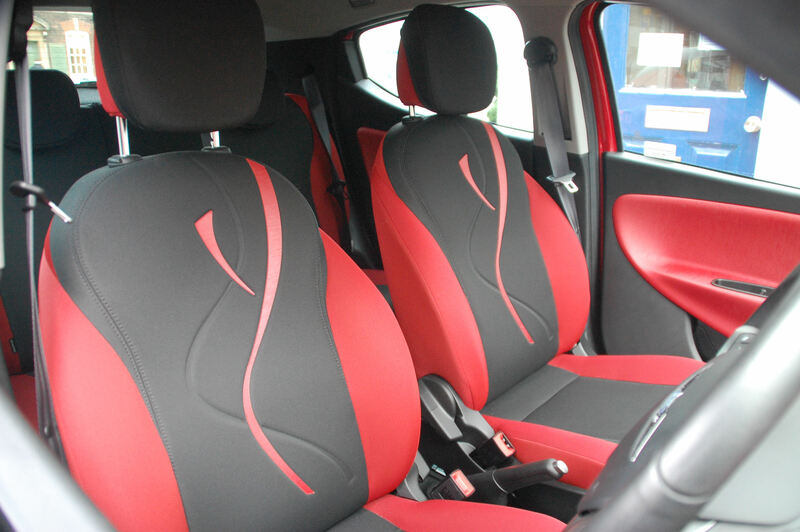 This special Black&Red edition sits as the flagship of the current Ypsilon line-up. As the name suggests the body is two-tone, with the bonnet and roof melding into the blackness of the tailgate glass surround. Grab the chromed front door handle and the theme continues inside with scarlet mouldings and appliqués enlivening the otherwise sombre cabin. Whether it works is down to personal taste (and it suited mine) but if it’s too much a regular S or SE grade Ypsilon might suit you better. Based on the same stretched Fiat platform that also underpins the Panda, the Ypsilon’s cabin is characterised by feeling snug – it’s appreciably cosier than rivals such as Citroen’s DS3 for instance. However, the centrally mounted instruments counter this feeling slightly and the switchgear looks good. 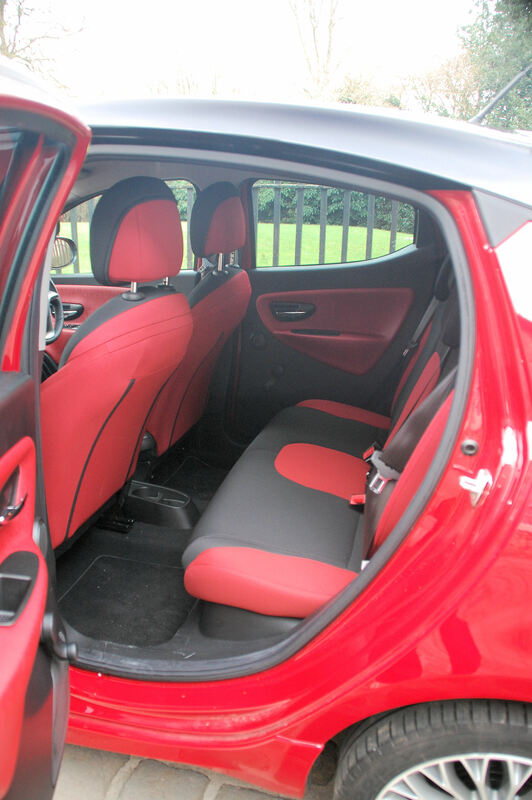 The Ypsilon’s rear bench has a trio of three-point seatbelts, with ISOFIX child seat mountings on the outer pair and a 60:40 split fold for added practicality. Rear visibility is curtailed by that rising window line though, and once the kids have got their sticky fingers around the tiny levers to open the back doors they might complain about feeling a little claustrophobic. Those of adult proportions will quickly realise the centre seat belt is redundant, as you get closely acquainted with the other back seat passenger; the Ypsilon’s tapered rear styling looks great from the outside but it naturally encourages those in the rear to move nearer the centre of the seat. 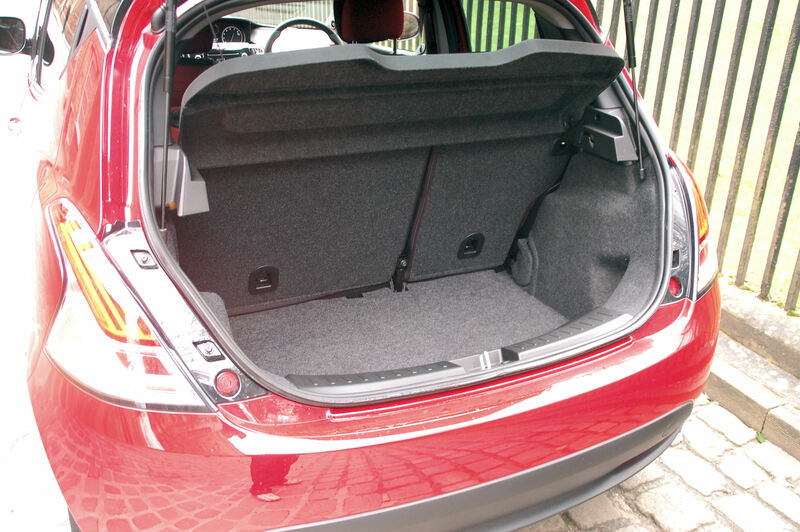 At 245 litres with the seats in place, the boot just about swallows a typical weekly shop, although the lip is high and the opening narrow, further evidence of the Chrysler being formed primarily for aesthetics. 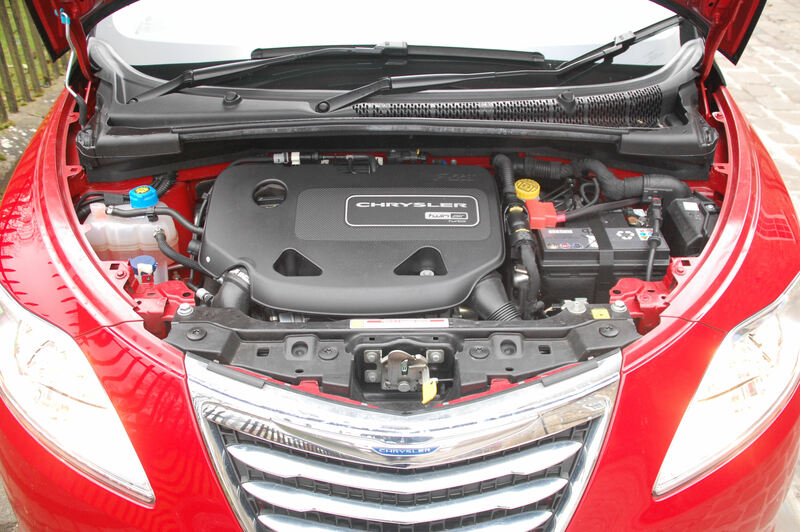 Under the V-shaped bonnet lives a Chrysler-branded version of the familiar TwinAir engine, which is as characterful as it is in its other applications. That engaging, throaty rasp is prevalent at lower revs but soon eases to a muted thrum by the time you’ve reached 30mph. The gearbox needs to be worked to get the most performance from the engine but all this ratio swapping to eek speed from the engine hampers fuel economy. 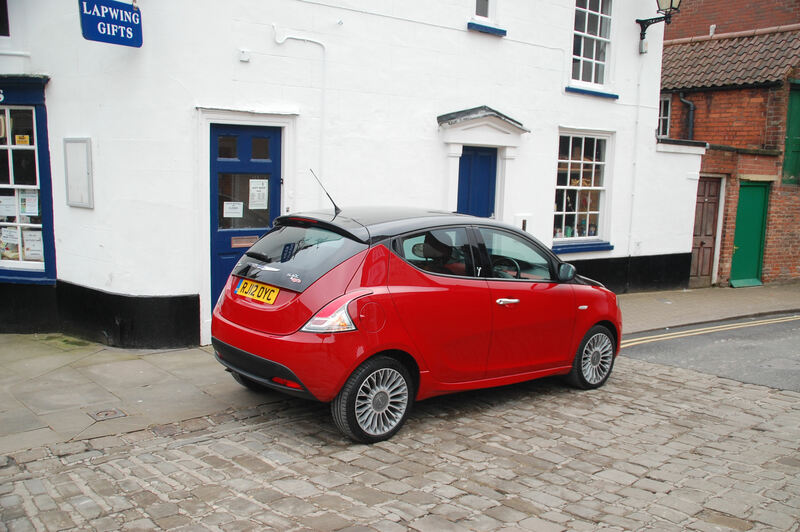 Chrysler claims 67mpg for the TwinAir but over mixed roads of the test 48mpg was the best it averaged. However, emissions are usefully low at 97g/km CO2 meaning the Ypsilon is free from road tax. On the road the Ypsilon cossets rather than excites with a ride suppleness more akin to a larger car, and light steering that tells the driver little about what the front wheels are doing but feels relaxing. The Ypsilon is unlikely to set sales charts ablaze but it will appeal to small car buyers who are bored of retro and find others in this segment too commonplace. And its relative rarity could become a key factor for those seeking exclusivity. 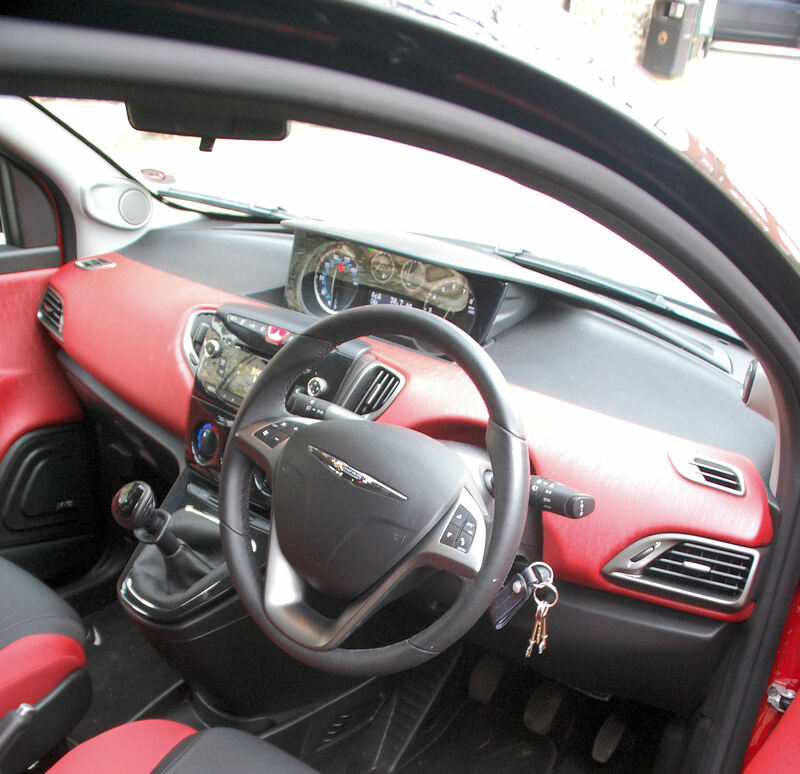 Chrysler’s Ypsilon range starts at £10,640 for the 1.2 S and rises to £14,895 for the 1.3 M-Jet Black&Red.